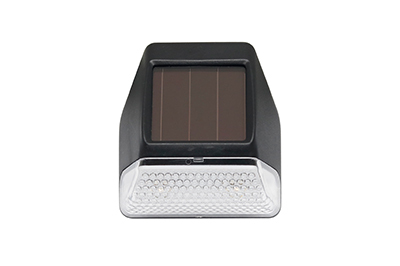 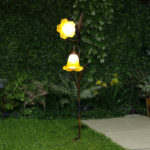 This colorful and attractive solar-powered flower light is the perfect addition to your outdoor garden décor. 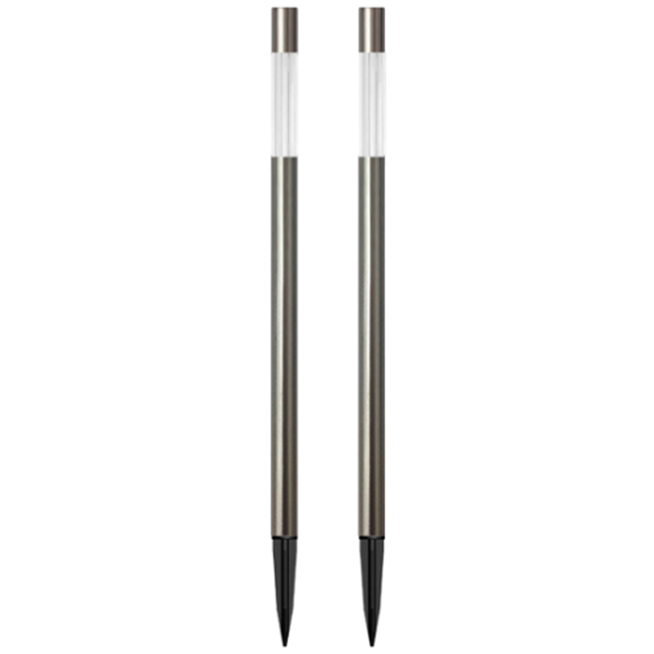 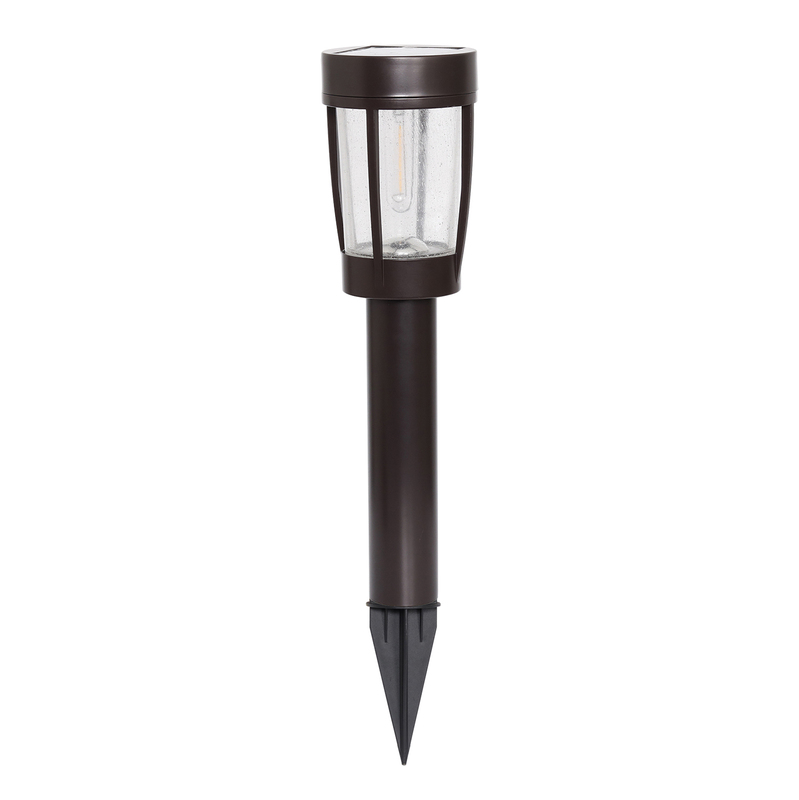 Durable metal construction, available in a Remington Bronze finish. 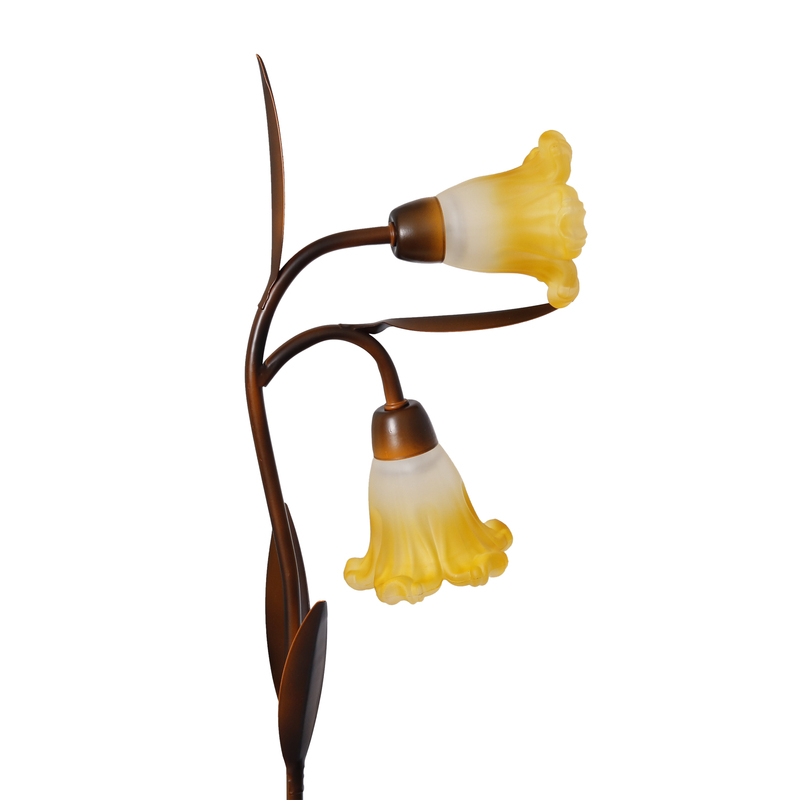 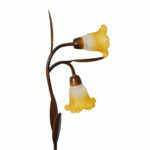 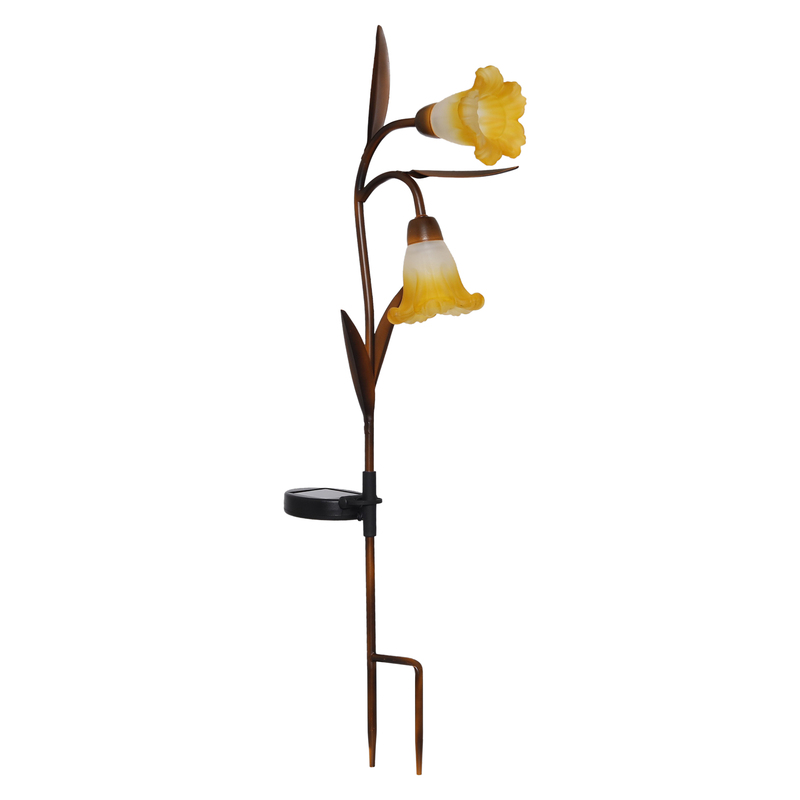 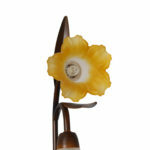 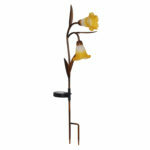 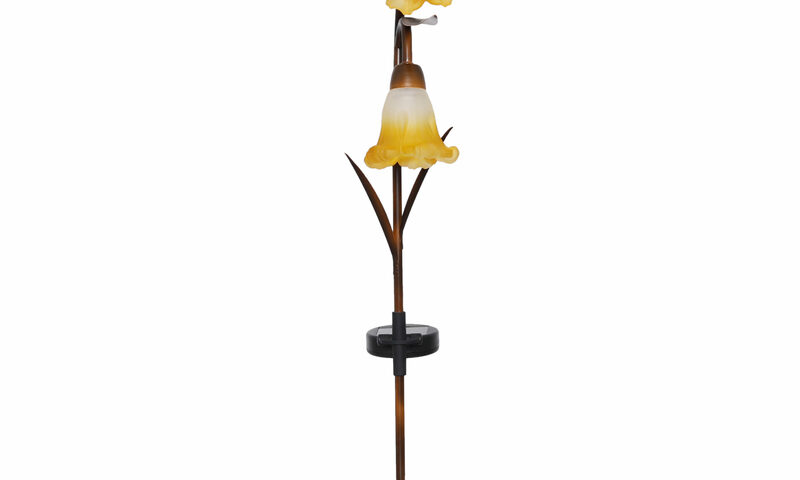 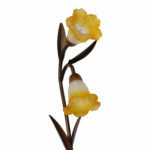 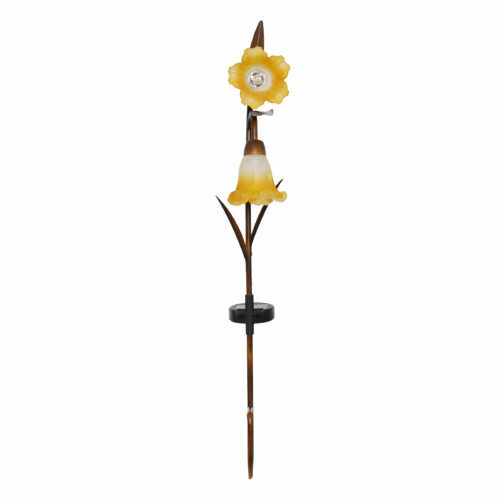 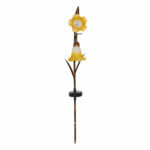 The yellow glass flower features an elegant trumpet shape with a warm white LED. 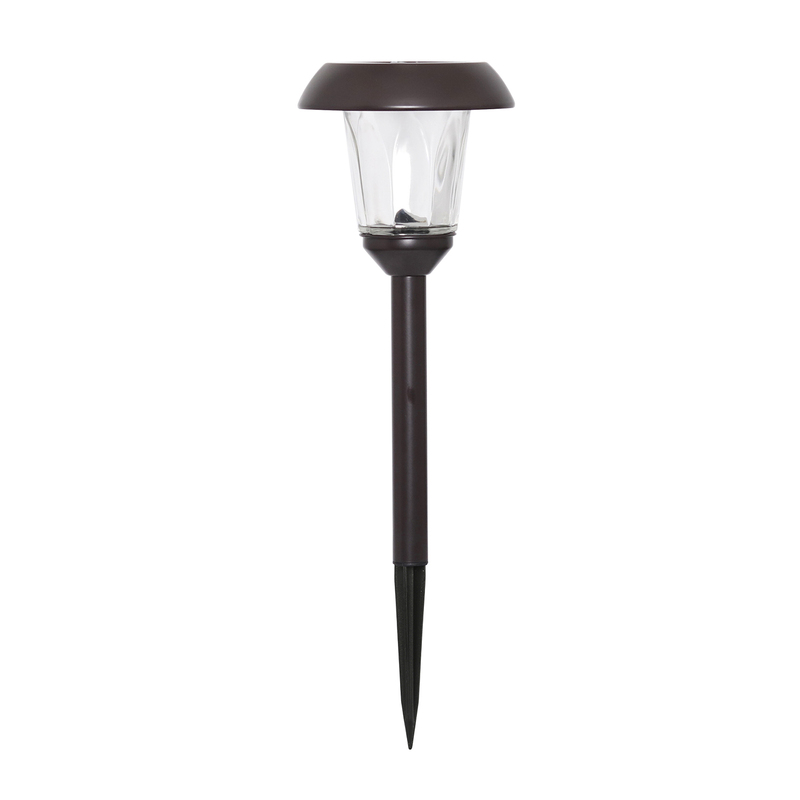 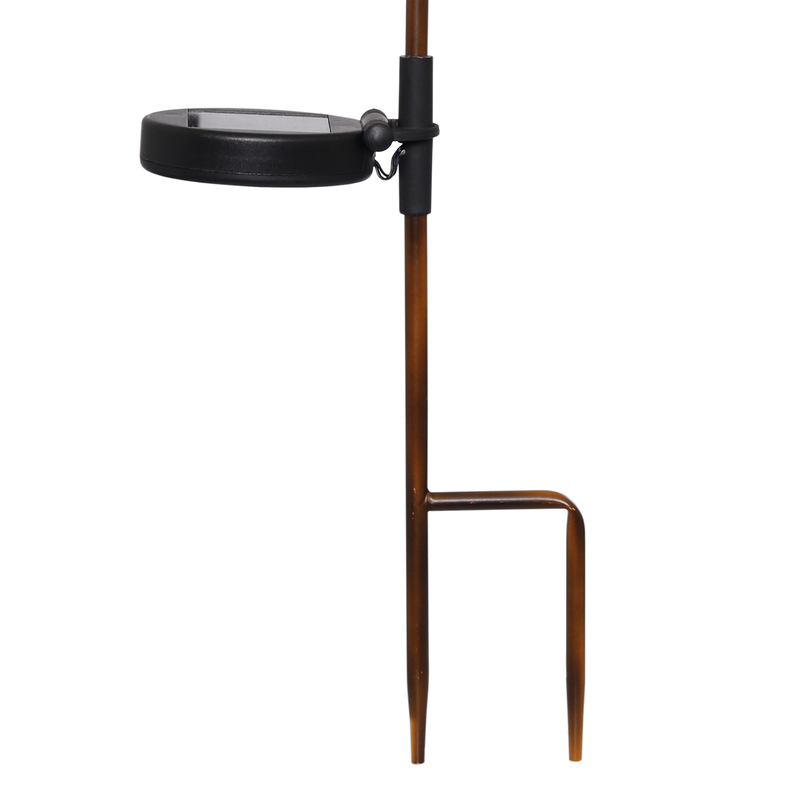 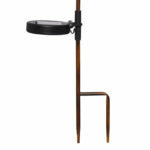 This light will add beauty and charm to your walkway, pathway or garden.